In the biomedical model of health, access to health care leads to improved health. The “logical” assumption then follows that universal health insurance would lead to equal access to these services and thus improved overall health. As we get closer to October 1st, when the state health exchanges will open, we must ask ourselves if this assumption is true. When we get to universal or near universal health care coverage, will health disparities decrease? We can look to countries that have universal health currently to see if this is true. In the United Kingdom, which has had universal health care for 60 years, population health has improved, but class differences in health and mortality have actually increased. In Sweden, with universal health care since 1955, there are also still socioeconomic status related health inequities. Taiwan implemented national/universal health insurance in 1995, and makes for a contemporary case study of health inequities. After implementing national health insurance, Taiwanese patients increased their use of the health care system, averaging 14 visits to physicians in 2004. These visits were predominantly made by elderly and poor patients. However, results of a 10-year study concluded that although population health improved countrywide, particularly in the “lower ranked health classes”, the change was small. Although they found a decrease in health disparities, the magnitude of the reduction was small compared with the size of the remaining gaps (~6%). Thus, the authors concluded, “Relying on universal insurance alone to eliminate health disparity does not seem realistic.” The general examples of Sweden, England, and Taiwan illustrate that universal health care coverage in the US would tend to improve population health to some degree, but would not significantly reduce health disparities. Why Won’t Universal Health Coverage Significantly Reduce Disparities? The reasons for health inequities are complex. They include determinants of health such as income, education, socioeconomic status, discrimination, housing, environment, food security, social support, transportation, and working conditions.,,, Moreover, sources of disparities exist even within the healthcare system, as evidenced by the Institute of Medicine (IOM) report, “Unequal Treatment.” This report found approximately 175 studies documenting racial/ethnic disparities in the diagnosis and treatment of various conditions that persisted even after controlling for possible confounders. Thus, even universal access to health care does not guarantee universal equal treatment. Access to medical services should not be considered the primary driver of disparities in health status. Income and other social determinants are the fundamental causes of health as they contribute to social gradients, influence many diseases, are reproduced over time, and function through various pathways of risk. Perhaps most significantly, income represents access to resources that, when ample, can be used to avoid health risks or when absent can lead to increased risk. Would Universal Health Care Help At All? Evidence indicates that with universal medical care coverage health disparities would likely improve for certain sub-populations (such as individuals with HIV and children) who are particularly vulnerable and responsive to changes in availability of medical care. 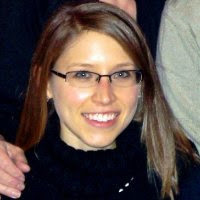 Additionally, health insurance can positively affect control of high blood pressure for adults, especially those in low-income groups., Still, questions remain about how effective health insurance can be for other groups and which aspects of medical care deserve more investment versus social infrastructure programs. Although an abundance of literature exists to demonstrate the existence of health disparities and to describe causation, there is a lack of evidence discussing effective policy interventions. It seems most plausible that although universal health care coverage in the US would likely improve some aspects of population health, until the fundamental causes of health are effectively addressed there will still be inequities and consequently disparities in health. This is not to say that we shouldn't provide universal health care as it is, and should be, a fundamental right. However, historically, access to good medical care occurs after progress on public education, higher wages, increased employment, and housing provisions are achieved. If we are serious about reducing health disparities, we have to think outside of the biomedical model and start thinking more holistically. Cockerham, W.C. (2013) Social Causes of Health & Disease 2nd edition. p. 120. Cambridge: Polity Press. Braveman, P. a, Egerter, S. a, & Mockenhaupt, R. E. (2011). Broadening the focus: the need to address the social determinants of health. American journal of preventive medicine, 40(1 Suppl 1), S4–18. 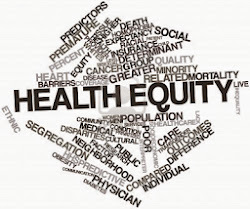 Braveman, P. (2006) Health disparities and health equity: concepts and measurement. Annual Review of Public Health 27 pp 167-194. Williams, D.R. Sternthal, M. (2010) Understanding Racial-Ethnic Disparities in Health: Sociological Contributions. Journal of Health and Social behavior 51: S15-S27. Institute of Medicine. (2002) Unequal treatment: confronting racial and ethnic disparities in health care. Washington: National Academies Press. Link, B., & Phelan, J. (1995). Social Conditions as Fundamental Causes of Disease. Journal of health and social behavior, 35, 80–94. Andrulis, D. (1998). Access to Care Is the Centerpiece in the Elimination of Socioeconomic Disparities in Health. Annals of Internal Medicine, 419–420. Levy, H., & Meltzer, D. (2008). The impact of health insurance on health. Annual review of public health, 29, 399–409. Frankel, S. (2001). Commentary: Medical care and the wider influences upon population health: a false dichotomy. International journal of epidemiology, 30(6), 1267–1268. Hart, J.T. (2001). Commentary: Can health outputs of routine practice approach those of clinical trials? International journal of epidemiology, 30(6), 1263–1267. Very nice article. I have been saying this for years.